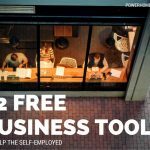 There are free business tools to help entrepreneurs as they attempt to turn their dream business into a success. Check out some of these few business tools to pave your way to a successful venture. When writing articles, it is paramount to keep your audience in mind. Learn the 3 common mistakes most marketers make when doing article marketing. Use this strategy to create content that will help increase website traffic and get more sales, because you’ll be educating your prospects, answering their questions and teaching them how to buy from you. Are you one of those who easily spots spelling and grammatical errors? You can turn this skill into a business editing and proofreading web sites. Find out how.